WEMA's universal grinding machines are now available through German machine Tools of America for the complex task of three-way machining of all major workpiece sizes. The machines are equipped with external and internal grinding units. Clamping operations provide decisive efficiency and precision benefits. WEMA's technology enables machines to perform highly complex operations, while peripheral modules permit greater flexibility. 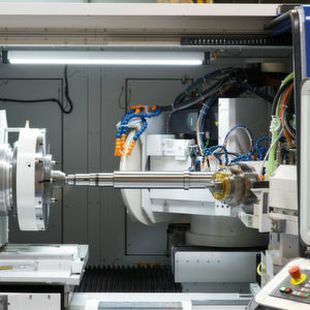 These machines' features include up to 3 swivel axes, machining of 4 sides in one clamping operation, machining of chuck and shaft-shaped parts and external grinding wheels with a maximum diameter of 600 mm. WEMA SU also offers additional features such as: 4 insertable internal grinding tools, 4 external grinding tools and cones, polygons, etc. 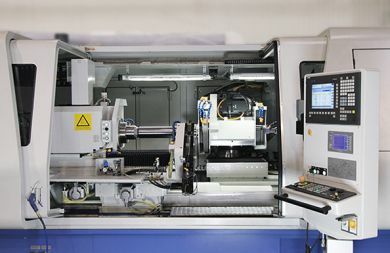 WEMA's internal grinding machines maximize operating times with more efficient and integrated procedures. A repeatedly allocable tool and workpiece headstock are guided on up to six axes with an accuracy of 0.1 µm. WEMA SI is scalable and is adapted to the clients' needs through specific mounting for the greatest machining efficiency. Powerful drives ensure quick availability with additional work and peripheral modules reducing costly non-productive times. Available in 4 different series (S2I, S3I, S6I and S10I), it offers machining of chuck and shaft-shaped parts. In addition, the internal grinding machines are equipped with internal cylinder/ cone, internal polygons, internal screw threads, up to 4 applicable grinding tools and high rigidity through the use of cast beds/hydropol beds. The company's external grinding machines can machine parts up to 1,500 kg with external lengths of Ø 600 mm and 2,700 mm. Grinding wheels are available in Ø 500, 600, and 750 mm. Typical workpieces include railway axles, rollers, pipes and shafts. Notable features on these WEMA machines include three different types of milling centers (SW3, SW6, SW10), grounding of borings and tracks of inner rings, as well as tracks and outer diameters of outer rings. Outside rings have a diameter of approximately 300 mm to 900 mm. Shoulders, rims, etc can also be ground and different grinding operations can be performed in sequential or simultaneous grinding procedures. The full line of WEMA grinding machines includes internal, universal, external, roller bearing, and customized solutions.